Trekkers, a local outdoor-based youth mentoring organization, has announced that Hannah Walsh has been promoted to the Trekkers program director. Walsh has been serving as a program manager since September 2014, but her ongoing commitment to the community goes back even further. Walsh spent 2012-2014 as an Island Institute and Americorps Island Fellow, serving as the service-learning coordinator with Maine island schools, and as the After School and Garden Program coordinator at Jackson Memorial Library. She holds a B.S. in Environmental Science from the University of Vermont. Walsh has been on dozens of Trekkers expeditions over the years. When asked for highlights, she sites leading a Disaster Relief Expedition to Texas with Team Everest to aid in the after-math of Hurricane Harvey, doing yoga on the edge of the canyons at Canyonlands National Park with Team Penobscot, lying down on the Great Sand Dunes in Colorado with Team K2 and looking up at the clear, speckled night sky, and waking up before dawn to see the sunrise from the eastern most point of the continental U.S. with Team Vesuvius. “The best part of this work is the opportunity to build meaningful, long-lasting, and unique relationships with students, volunteers and community partners,” said Hannah Walsh. 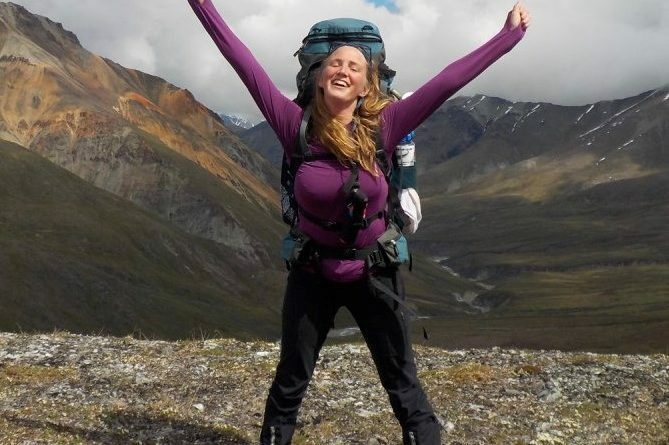 When she’s not caught in the moment on a Trekkers trip, you can find her exploring new places like the Talkeetna mountains of Alaska, gardening at her house in Thomaston, doing lots of cooking experiments, running half-marathons, and going on hikes with her husband and puppy.